Older Australians on interim care packages often die or end up in residential facilities before getting their appropriate care, according to a survey of home care providers that has produced figures at odds with what government statistics say. 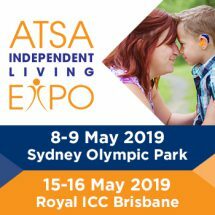 Leading Age Services Australia (LASA) on Wednesday released data from a small survey of members showing maximum wait times for home care are often much longer than the 12 months suggested in government figures. Sixty-five per cent of HCP providers said consumers were waiting up to 12 months longer then government figures indicated, and half said consumers were waiting more than year longer than the government said. The figures show almost one in four died while waiting on an interim package and almost half (43 per cent) entered residential care while in the queue. The release of the report comes after a senior Department of Health bureaucrat, Fiona Buffinton, told the Royal Commission into Aged Care Quality and Safety last Friday that an additional $2 billion to $2.5 billion a year would be required to bring waiting times down to three months for every client. She was also asked to explain why publicly available government figures on waiting times were “vague” when more detailed information was available. At June 30 2018 the wait time for a level four package was almost two years, Counsel Assisting Timothy McEvoy told the commission. “I suppose to be plain about it, Ms Buffinton, what I’m wondering is whether there’s sufficient transparency in the home care packages program data report series that the Department releases to the world,” counsel assisting Timothy McEvoy said. Ms Buffinton also admitted that although there were “channels” through which the health department could find out that someone had died waiting, they were not adequate. The commission heard the waiting times for home care were “severe and unacceptable”. “This has caused great suffering and continues to do so. The long waiting lists are cruel, unfair, disrespectful and discriminatory against older Australians,” Mr McEvoy said. The waiting time between being assessed and receiving funding needed to be reduced “as close as practicable to zero,” he said. In the first half of 2018, 16,000 people died waiting for a package they never received, the Royal Commission heard. 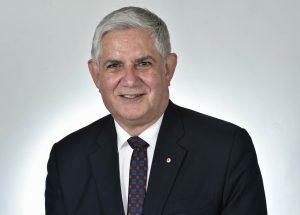 In a statement to Community Care Review, aged care minister Ken Wyatt said the Home Care Packages Program aimed to support as many people as possible to remain living at home and connected with their community for as long as possible. “Our Government understands there is high demand for home care, reflecting the desire of senior Australians to remain in their homes for longer. “In response, we have invested an additional $2.17 billion into the Home Care Packages Program since the last Budget,” he said. LASA is pushing for a maximum three month wait time between assessment and getting a home care package and says this can achieved by encouraging people to use their own finances or home equity to pay for care if they can. It also wants an additional $500 million from the government per year, saying too many people continue to wait despite measures announced by the government to increase and bring forward the release of new packages. “LASA’s data suggests that consumers on interim packages often pass away or enter hospital or residential care before receiving the package that they were assessed as needing,” LASA CEO Sean Rooney said. Unspent funds continued to cause concern among home care providers, the report found. Across 6,293 packages held by 17 providers there was a total of $34 million in unspent funds, or almost $5,000 per package, LASA found. It estimates this could amount to a total of nearly $450 million across the board. Nearly 15 per cent were accessing CHSP services on top of HCP to meet their needs, the report found, yet only six per cent were paying for extra services themselves. The report also shows 45 per cent of providers are “very concerned” about the extent of inappropriate service requests using HCP funds. LASA’s findings are based on 23 HCP providers drawn from its membership, which peak describes as a “small but representative” sample representing 10 per cent of Home Care Packages drawn from its members. I wonder if the HCP providers might have a vested interest in forcing clients to use their in-house services instead of saving up to buy an electric bed or a wheelchair. They make a margin on every visit after all. Money for jam. CDC puts the client at the Centre. It’s their care plan not the provider’s and it’s about time LASA got on board with that. Old people are not all the same. That’s why we expect to have real input into what services and supports we need. This might not be the services that the provider wants to sell us. Maybe its time the Government went back to the drawing board and had a look at the former Victorian HACC system where people got the services they were assessed as requiring to support them to remain at home. No packages accumulating unspent funds, no giving up meals on wheels or social support to pay for another shower, no swimming pools or cars being funded, just the services you require charged at a rate you could afford. Re-assessed for high priority level 4 in Dec 2018 and wait time is estimated currently at still being 3-6 months away, so somewhere around end June 2019 to end Sept 2019. Currently using level 2 as an interim, which was assessed as the need around 2 years ago. Estimated time from crisis to actually getting Level 4 is therefore about 9 months. It took me 3 years to get my assessed level 4 , and it took its toll on me and my wife, I tried every which way to get the necessary hel we we’re assessed for, and it was only after I appealed my last ACAT did I get my package, and what a difference this has made. The person I provide care for was assessed at level 4 in 2016 and has been in the queue for nearly 1000 days with (still) “3-6 months” to go. At the Royal Commission, the 75th percentile wait time was reported but not the 90th percentile. I wonder why. What is the maximum “actual” wait time? Why isn’t some investigate journalist not doing an FOI request for that easily retrievable statistic? 1) One solution to reduce the number of people needing care packages or reducing the amount of care they need, would be to increase the provision of rehabilitation services (e.g. 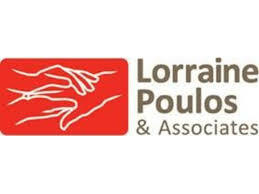 occupational therapy, physiotherapy, therapy assistants etc) in hospitals and the community. Although rehabilitation is costly, it is a short term cost and could reduce long term care package needs.